The US senator and former presidential hopeful Bernie Sanders has launched a new campaign in which he attacks a number of pharmaceutical companies for their high prices in the US. 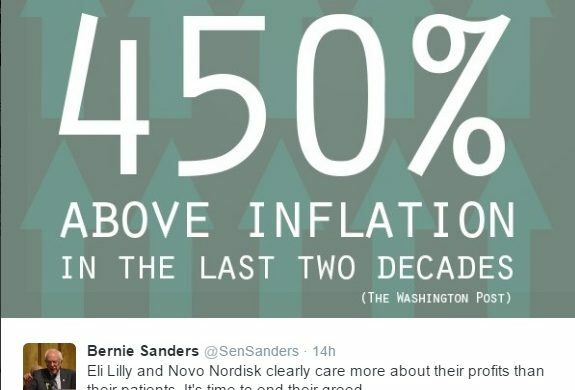 Sanders was dishing out the ‘Bern’ big time on social media yesterday, blasting Novo Nordisk for increasing insulin prices well above inflation in the past 20 years. 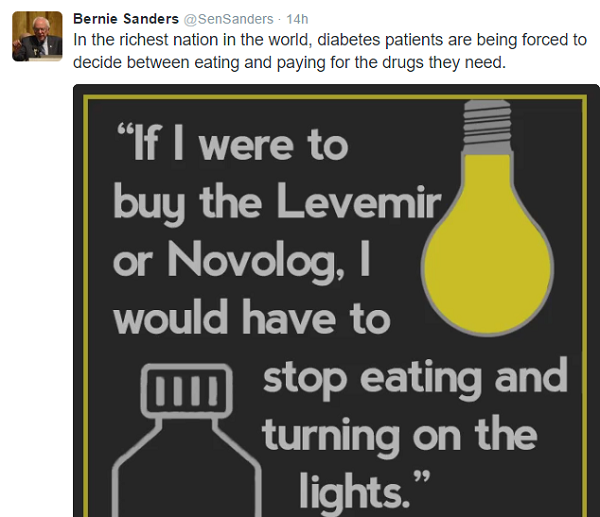 “In the richest nation in the world, diabetes patients are being forced to decide between eating and paying for the drugs they need,” Sanders wrote on Twitter. “Eli Lilly and Novo Nordisk clearly care more about their profits than their patients. It’s time to end their greed,” he wrote on another Twitter update. Sanders also complained that pharmaceutical products made by Novo Nordisk competitors, such as Lilly and Sanofi-Aventis, were sold at a much higher price in the US than in other countries. The US market is Novo Nordisk’s most lucrative market, but the company has endured its struggles recently due to price pressures, which has hit the company’s shares considerably.